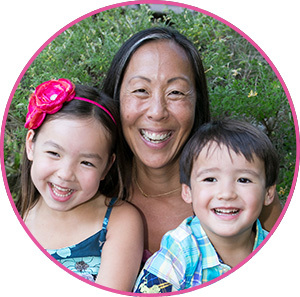 is your online resource for trusted kids’ health advice, fun tips, random thoughts and adventures with me – Dr. Elisa Song, holistic pediatrician and mama of two crazy fun kids. At Healthy Kids Happy Kids, you’ll learn to break free from the one-size-fits-all mold of conventional pediatrics. You’ll learn how to feel confident integrating both conventional and natural treatments for your whole family. You’ll feel ready to take charge of your family’s health … naturally! Whether your child is healthy, and you’re looking for ways to help them thrive to their fullest potential, OR your child is sick, and you’re trying to find the root cause of their illness and how to resolve their health concerns using integrative approaches – Healthy Kids Happy Kids is for you! You’ll get practical advice, from a real mama, based on my knowledge as a leading holistic pediatrician. I’ll share with you my successes and failures, my rock-star highs and wish-I-could-do-over lows. You will learn from my experiences so that you are confident in moving forward toward a healthier, happier life for you and your family! I can’t wait to share your holistic parent journey with you! I’m a holistic pediatrician, but I’m SO much more than that! Check out my background and the story behind why I started Healthy Kids Happy Kids! My blog is the centerpiece of Healthy Kids Happy Kids, where I share holistic pediatric advice and my mama adventures! In my integrative pediatric practice I’ve had the honor of helping 1000s of kids thrive physically, emotionally, and socially with natural and holistic approaches. Everyday Holistic Pediatrics will teach you my pediatrician-approved natural remedies to keep your children healthy, and get them through their fevers, colds/flus, coughs, earaches, and vomiting/diarrhea using nutrition, supplements, herbs, homeopathy, acupressure and essential oils.